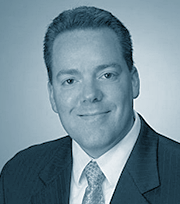 Contact Brad to schedule your annual portfolio review or introductory consultation. Brad’s financial services career first began by helping individuals solve their investment and insurance needs at Country Financial. In 2008, he joined Investment Centers of America where he spent the next seven years creating comprehensive post-retirement financial plans for clients. Today, Brad has transitioned his talents to Cetera Advisor Networks and continues to focus on building long-term relationships with clients, including Mill City members, using a needs-based planning approach to financial management. Brad earned his Bachelor of Science degree in Business Administration, with an emphasis in Finance at the University of Wisconsin-Stevens Point and is also a graduate of University of Wisconsin-Stevens Point’s Retail Banking Management 3-year program. Brad has three boys and enjoys the challenges that each day of raising them brings. For the last six years, he volunteers for Junior Achievement where he teaches financial literacy to grade school students in the Twin Cities and Western Wisconsin.